Family law is a particularly unique area of practice given the emotional components of divorce and custody matters. When you are seeking out a divorce attorney or a lawyer to handle your domestic violence case in Kane County, it is extremely important that you work with an experienced advocate who specializes in legal issues related to the family. At OSH Law, we understand the emotional and psychological tolls that a family law case can take, and we are here to assist you. 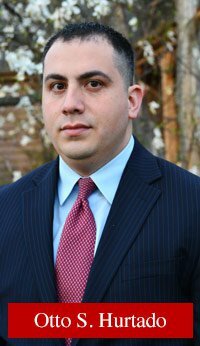 Attorney Otto S. Hurtado represents clients in all areas of Illinois divorce and family law. Our family law team provides professional service to clients throughout Kane County. In addition, we assist clients in DuPage County, Kendall County, and DeKalb County. With years of Guardian ad litem (GAL) experience and dedication to issues affecting Illinois families, OSH Law will provide you with the advocacy skills you need to obtain a favorable outcome in your case. At OSH Law, we understand the complexities involved in each family law case. We know that no two divorce cases look alike, and that custody and support matters always have distinctions and nuances that require the assistance of a dedicated DuPage County family lawyer. No matter what your family law needs might be, we can assist you with your case. Our firm handles all family law issues in Illinois. When it comes to filing for divorce, we are here to help. Mr. Hurtado has years of experience with divorce cases. We consistently advocate for clients who need representation for issues related to property division and asset preservation, custody and support, and taxes. To be sure, divorce can bring up many new and complex questions about taxes and property classifications, and a dedicated divorce lawyer can advocate for your rights. We can also assist with mediation for your divorce case. In addition to divorce, OSH Law can assist you with numerous other matters involving family law. Given that family law is a broad area of the law, we routinely provide representation to clients in cases that involve adoption, parentage and visitation issues, and prenuptial and postnuptial agreements. When cases require an experienced guardian ad litem (GAL), you should know that Mr. Hurtado is an experienced and dedicated Illinois GAL. In addition to these types of cases, we also help clients to obtain protection orders and other remedies when they have been victims of domestic violence. Making the decision to file for divorce or to hire an attorney for another family law matter can be a stressful process. At OSH Law, our clients know that we offer responsible and personalized service for all of your family law needs. We understand that child custody issues and property division often result in heated divorces, and we are here to advocate for our clients through every step of the process. When you need a lawyer for family issues, it is important to work with an attorney who is dedicated and has experience in this area. Divorce and other family law issues can be extremely complicated, and you deserve to have a dependable and experienced advocated on your side. Contact us today to learn more about our services. We assist clients in Kane, DuPage, Kendall, and DeKalb Counties. Call us at 331-248-8190.